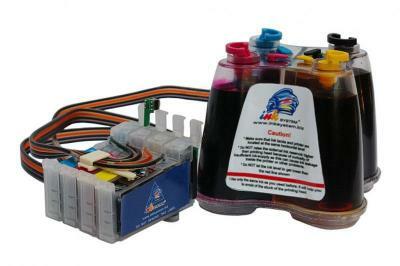 Buy Printer Epson Stylus C88+ with CISS and make 30 times more quality prints for the same money! Pay only 0.04 USD for A-4 full color print! Epson c88 plus is an excellent example of qualitative budget printer provided by international manufacturer. The device is notable for a high for this class efficiency, a reasonable price and an excellent quality. It is, indeed, an amazing achievement in the age of high-tech progress. This model is similar to its predecessor Epson C86 by the quality. It is one of the best devices for use at home and the office. Epson c88 printer endowed with great economical continuous ink supply system - CISS, saving your funds for you print documents and has excellent print speeds вЂ“ even more than twenty-two ppm. This printer with CISS on sales statistics is the most popular because it is able to meet all your demands on HW and please you with an salable inexpensive price. In contradistinction from most of its competitors, Epson Company pays immense attention to the design of their models. They, as nobody else managed to combine a good design and a high efficiency. This model is not an exception. A bright case with a black printer cover and smoothed angles make this device appropriate in every interior. The device with the dimensions of 18.11" x 17.2" x 12.2" (W x D x H) with trays extended looks very modest and stylish. Epson printer C88 is a combination of style and convenience. 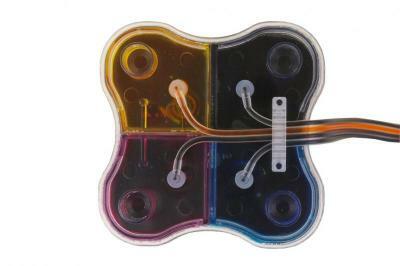 Despite a modest design, so to speak, without frills, this device easily performs all the functions imposed on it. Discreet, but functional design - it's a wonderful choice for any home. Discreet appearance, simplicity, but at the same time, great functionality вЂ“ it is a great device for use in a reasonably large and small office. According to the manufacturerвЂ™s statement, this model is a budget version of four-color inkjet printer with an elementary set of the most necessary functions. Of course, to use the mildest term, c88 plus doesn't suit for operation in photo studios both professional and home one, in contrast with Epson Artisan 50. But it is not the reason to dismiss this printer. If you need a reliable, but at that inexpensive printer for copying schemes, diagrams, text documents with a high speed, then you have found what you need. In addition, it is possible to print on it photos of an average quality, for example for a photo report. C88 printer is a low cost printer. Some of the most advanced users certainly will notice the absence of wireless connection, slots for memory cards and other up-to-date innovations in the description of MF. Right, actually, Epson c88 will not be able to work without computer, but this fact doesn't influence the printing quality. And a person, who is seeking for quality printing equipment, but not a beautiful toy, understands this. 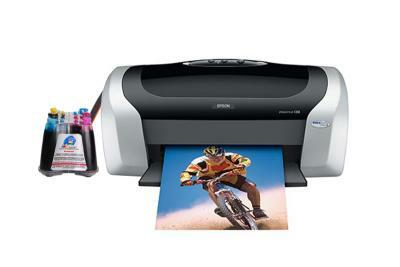 C88 Epson fulfills excellently all the most necessary requirements to the device of such a type. Stylus c88 quickly print documents and photos, as a result you get sharp text and vivid, true-to-life color. If we are talking about its efficiency and effectiveness, these two points are achieved by the use of four individual ink cartridges that are available in different capacities, so you can replace only the color you need. You don't have to change the whole cartridge when you run out of just one color. It really help you economize, donвЂ™t you think so? 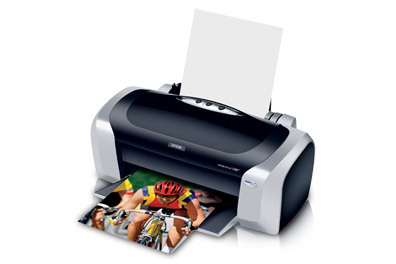 Epson stylus c88 gives you incredible and excellent results, whether you're printing a photo or proposal. Now, anyone can achieve wonderful results, project after project, print after print, with the exceptional power and performance of this multifunctional device. When ordering Stylus C88, as well as Epson WorkForce 1100 or Epson WorkForce 310 on our site, you also will be able to take part in a special offer and become a proud owner of a good printer with CISS system, that will allow you to reduce you printing expenses by 20 times minimum. 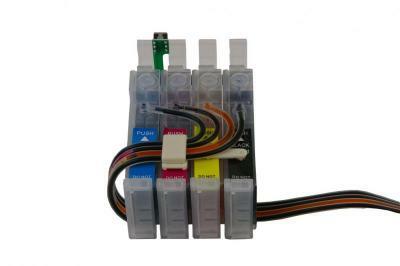 Besides, CISS will protect you printer against minor breakages, connected with frequent replacement of consumable products, and in such a way, to prolong its operating life. Maximum Printable Area: 8.5" x 44"